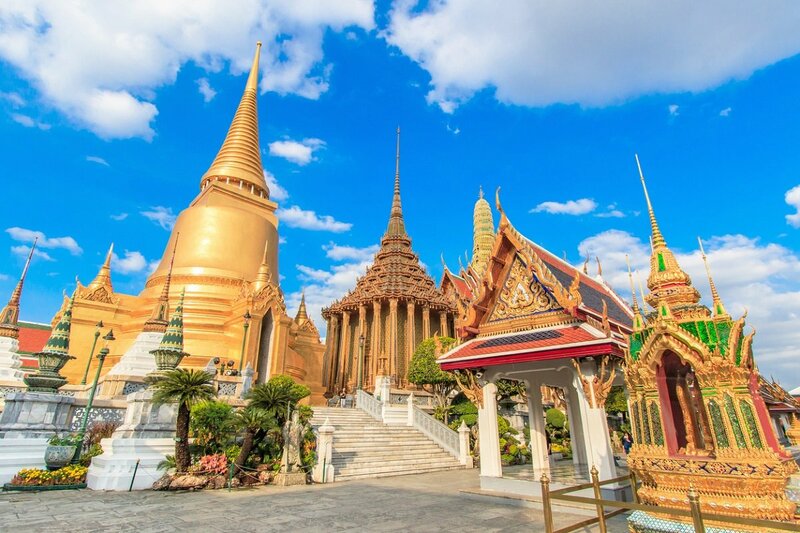 Thailand is a fantastic country to visit and offers everything the heart desires, and we’ve selected three places that we believe give you a good understanding of what the country has to offer. 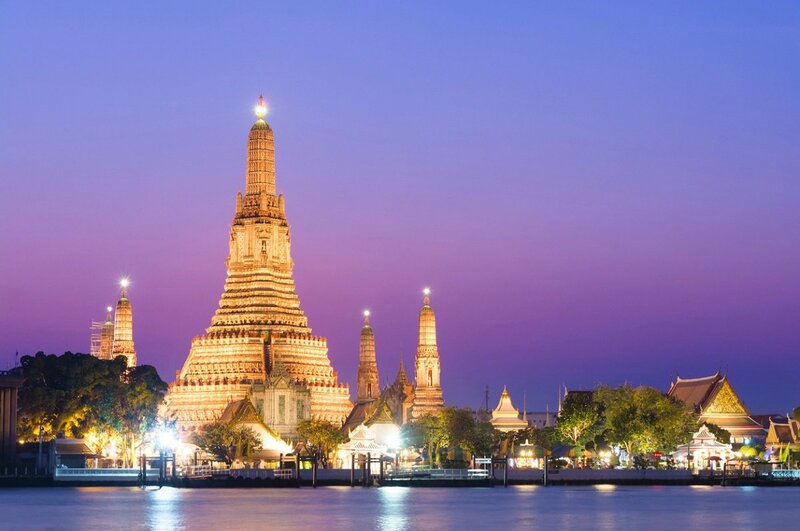 The tour begins in the capital of Bangkok, where designer skyscrapers stand in contrast to the cultural, royal Grand Palace and the small wooden houses along the city’s charming, labyrinthine waterways. 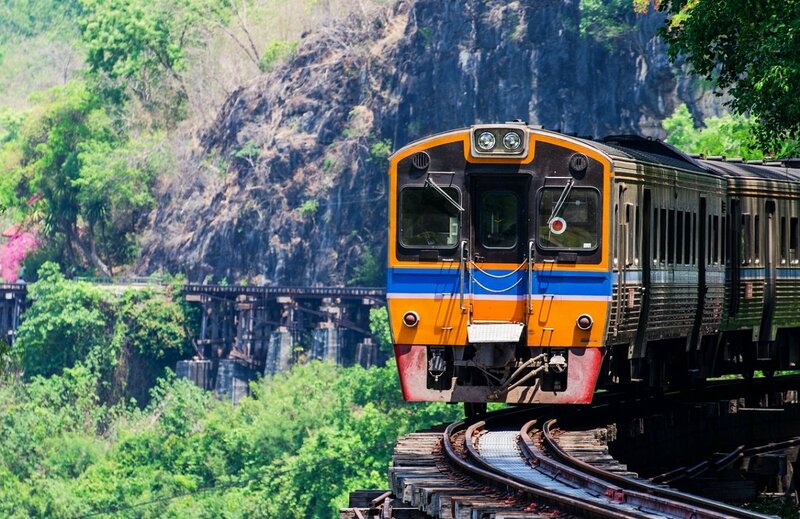 At the River Kwai you experience both the lush, picturesque nature and let the brutal history of World War 2 under your skin at the Death Railway. 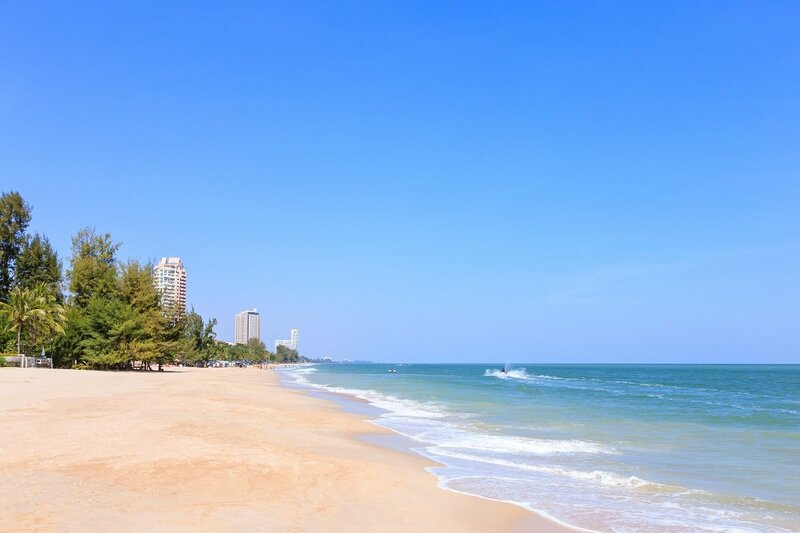 The tour concludes in the calm holiday town of Cha Am at Hua Hin, where you can relax and think back on all the exciting experiences you’ve had on the way. 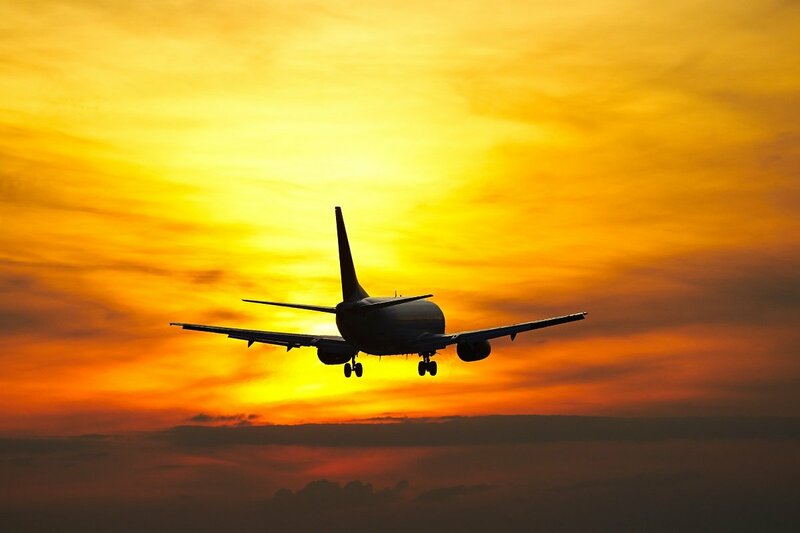 Departure day, where you will fly to Bangkok with connecting flights along the way. You land at the Bangkok airport, pass through immigration and pick up your luggage. Your guide awaits you in the arrivals hall with an Asia Tours sign, and travels with you and a driver to your hotel, where you will spend the next 2 nights. Late in the afternoon, an information meeting is held in the lobby of Hotel Narai. Here our agent will tell you about Thailand; what to respect and what to be aware of. At the same time, he will answer any questions you may have, and will go through the tour itinerary. Afterwards, there is a short walking tour of the area, where the guide points out good eateries, ATMs, pharmacies, and much more. The rest of the evening can be enjoyed on your own. 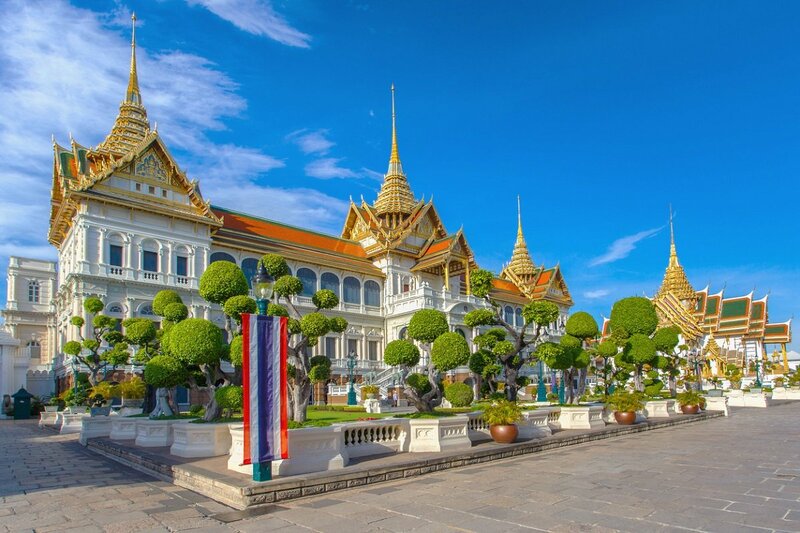 You are picked up at the hotel and driven to Thailand’s biggest cultural attraction, the Grand Palace. Built in the year 1782, the opulent palace still possesses an indescribable beauty that is best experienced first-hand. 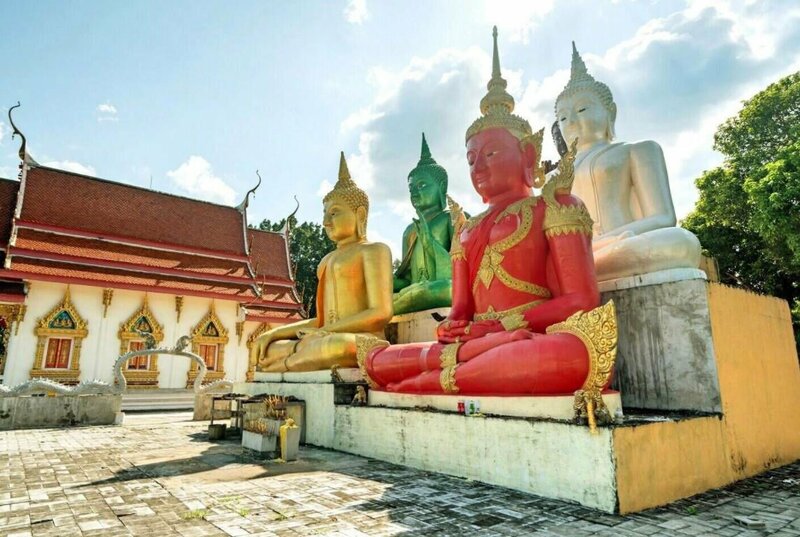 The palace houses Thailand’s most sacred Buddha statue, made from one giant piece of gleaming green jade. Note that there are special rules for attire at the royal palace. From the royal palace, you walk down to the Mae Nam Chao Phraya River, where you take the local express boat to Nontaburi, arriving 45 minutes later. At the local market, the guide finds exotic tropical fruit and local snacks for you to taste. 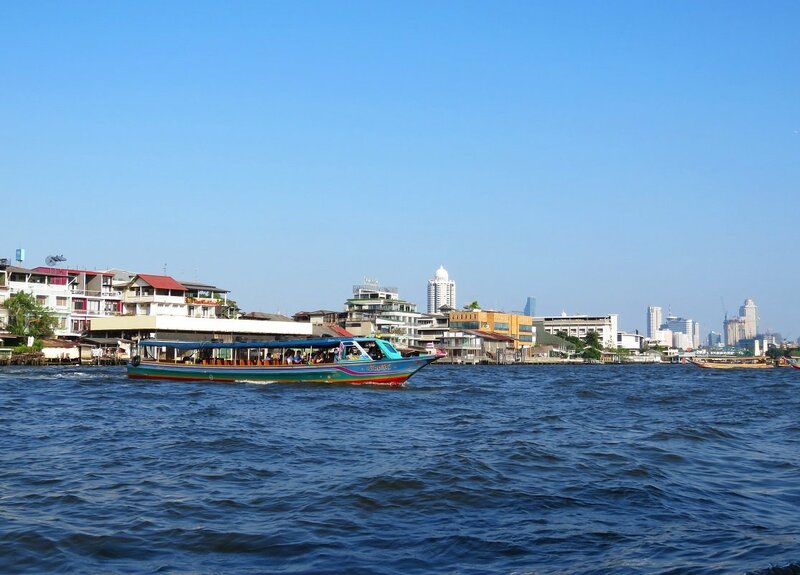 You then board a long-tail boat and sail to Bang Yai – the boat moves fast, so hold on to your hats and glasses! 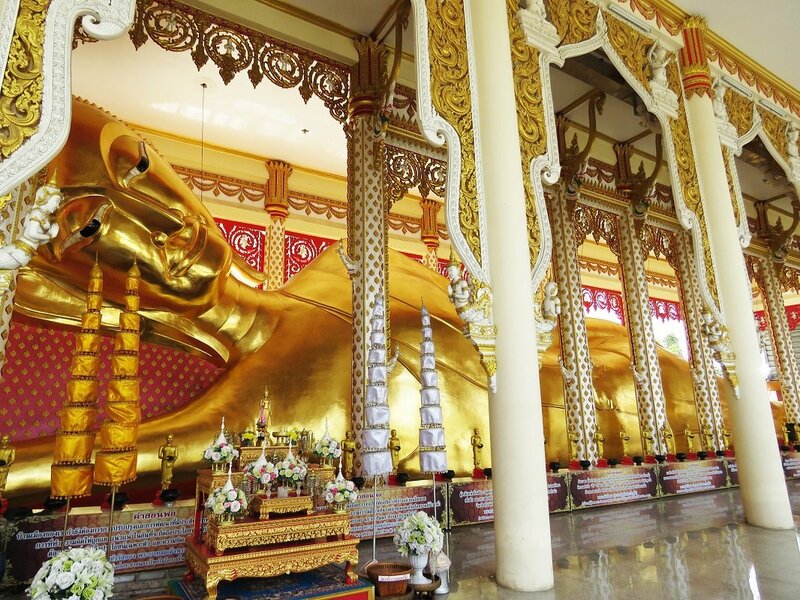 At Wat Bang Yai, you visit Bangkok’s second largest reclining Buddha. You experience a very different Bangkok here in Bang Yai – the streets are narrow and the traffic is different. From Bang Yai, you board a small long-tail boat that seats up to four people, and sail along the canals. 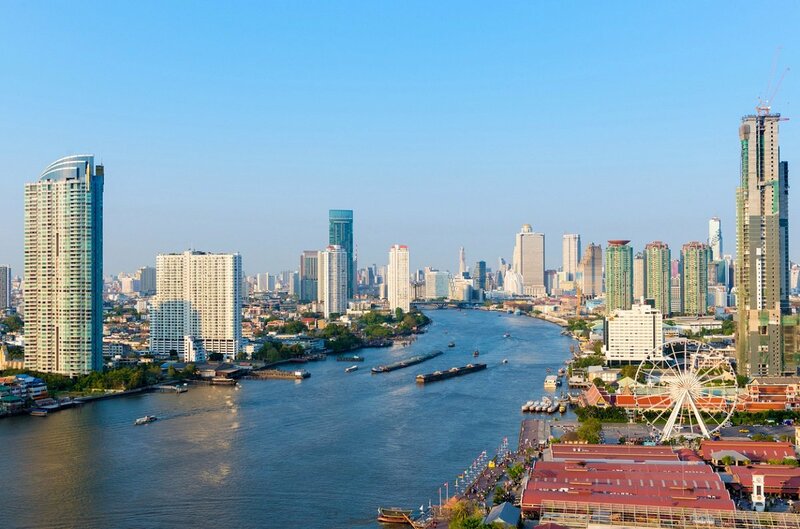 Today, the waterways in Bangkok, from the main river Mae Nam Chao Phraya (the River of the Kings), are also known as Bangkok’s “klongs”. 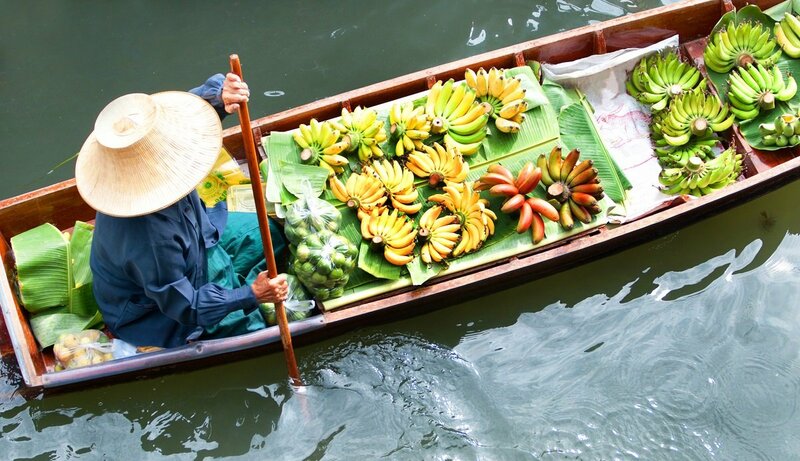 In ancient times, most daily trade in Thailand took place on and along the canals, and early European traders and visitors dubbed the city “the Venice of the East”. The canals remain extremely important to the locals and possess a wonderful and unique charm. You experience local life from the water as you sail past postmen and traders. You will also see that the buildings along the banks face out towards the water and not in towards land. This part of Bangkok stands in stark contrast to the dense construction of skyscrapers, elevated roads and motorways in central Bangkok. 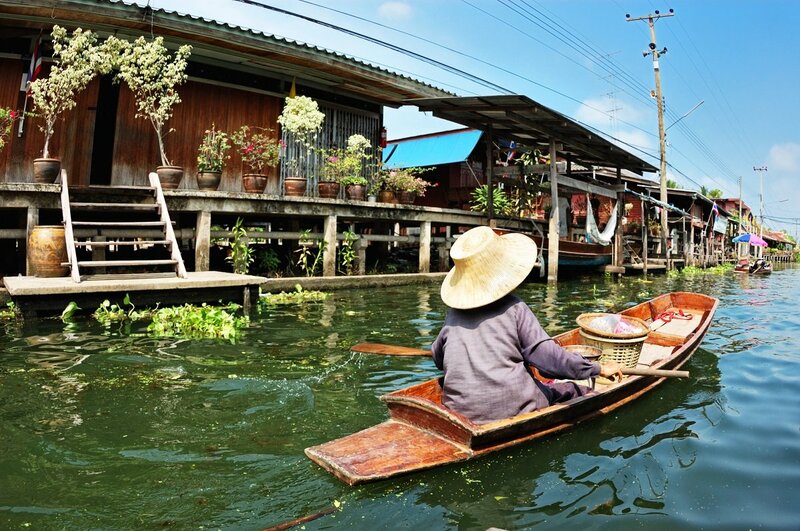 The waterways are the main thoroughfares here, and Thailand’s verdant lushness can be seen at every turn. 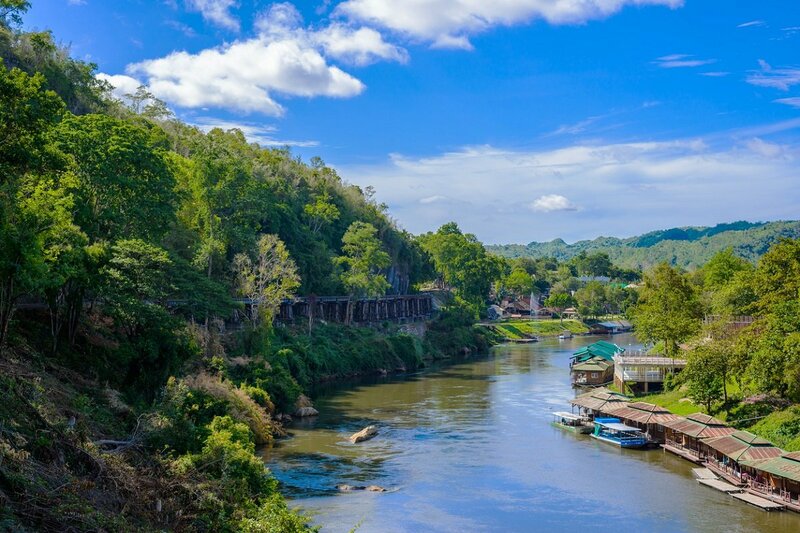 Today you begin a fascinating 3-day, 2-night excursion to the River Kwai, the town of Kanchanaburi and the vast jungle area surrounding it all. 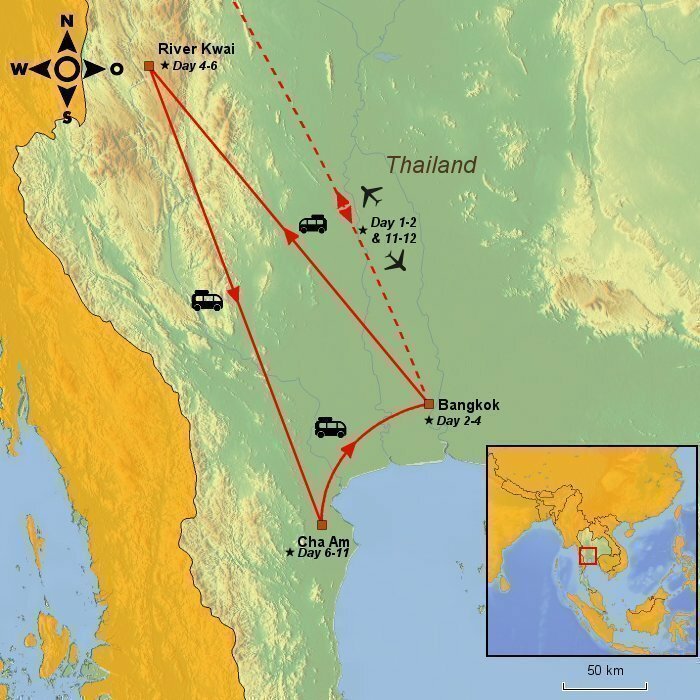 During World War II, a railway from Thailand to Myanmar was built here under inhumane conditions and horrific suffering. 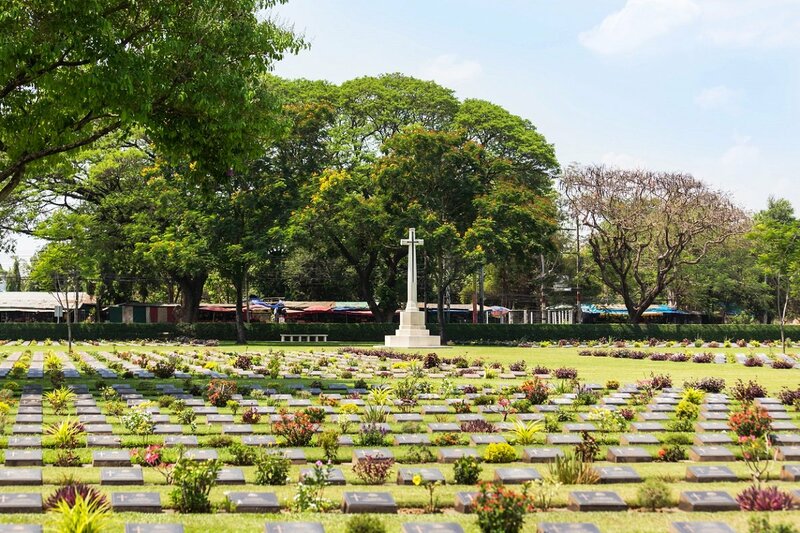 It took 18 months to build the 415-km railway, and during this period, approximately 100,000 conscripted Thais, Malayans, Chinese, Tamils and other Asians, as well as around 12,500 allied prisoners of war, lost their lives. This true story was re-told in the famous novel “The Bridge over the River Kwai” written by Pierre Boulle, and was immortalised in a film adaptation. You are picked up at the hotel early in the morning, to avoid the worst traffic out of Bangkok. 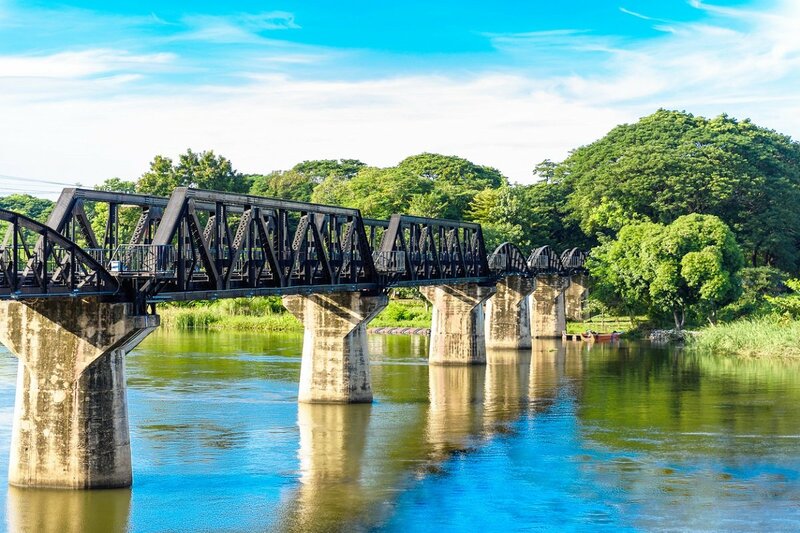 From Bangkok, you drive to Kanchanaburi, where you visit the War Museum, the war cemetery and the bridge over the River Kwai, albeit a somewhat newer version. Late in the morning, you arrive at Hintok River Camp, where you check in and eat breakfast. 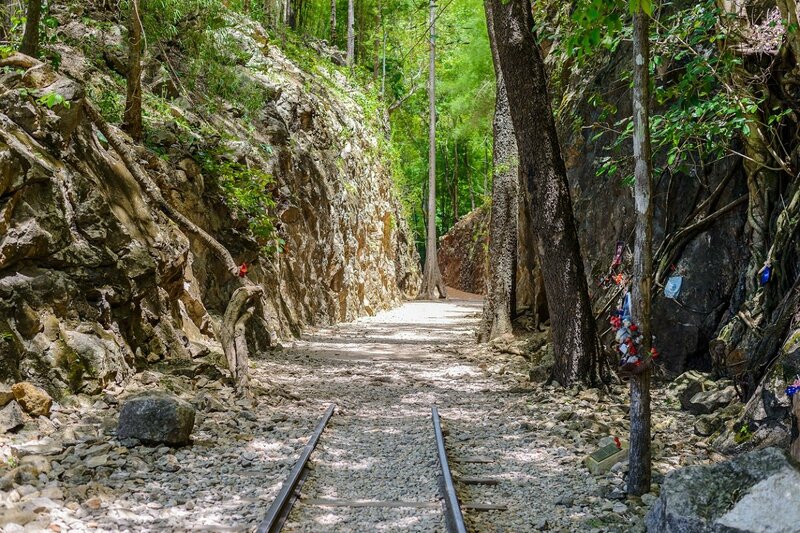 In the afternoon, you head for Hellfire Pass, one of the hardest parts of the railway to build, where the work took place around the clock. You hike from Hellfire Pass to Hintok Station, from which the tour goes back to Hintok River Camp, where you can enjoy the surroundings and the hotel activities. 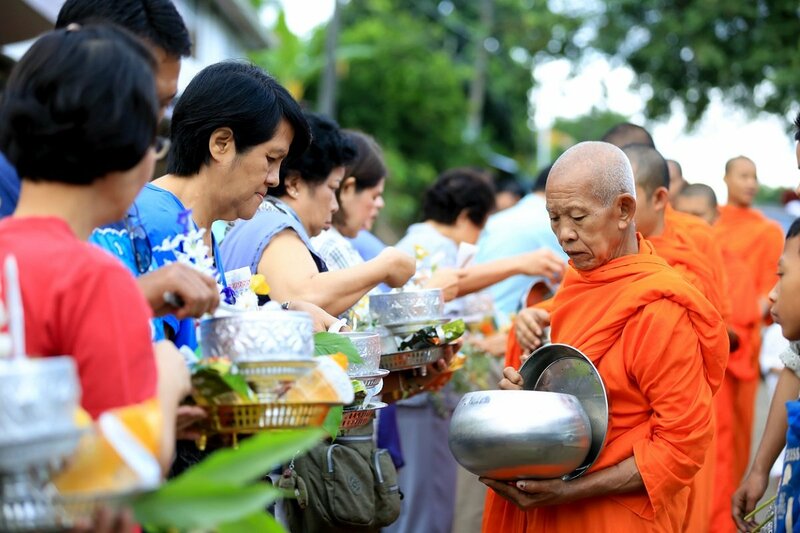 You get up to the sounds of the jungle and the river and start the day by cycling to a nearby temple to give alms to the monks by placing food in their bowls. Afterwards, you cycle back to Hintok River Camp, where a hearty breakfast awaits you. You check out of the hotel and board a long-tail boat, which takes you to River Kwai Jungle Rafts, a flotel or raft hotel on the Kwai itself. The landscape and lush nature along the river is picturesque and fantastic! 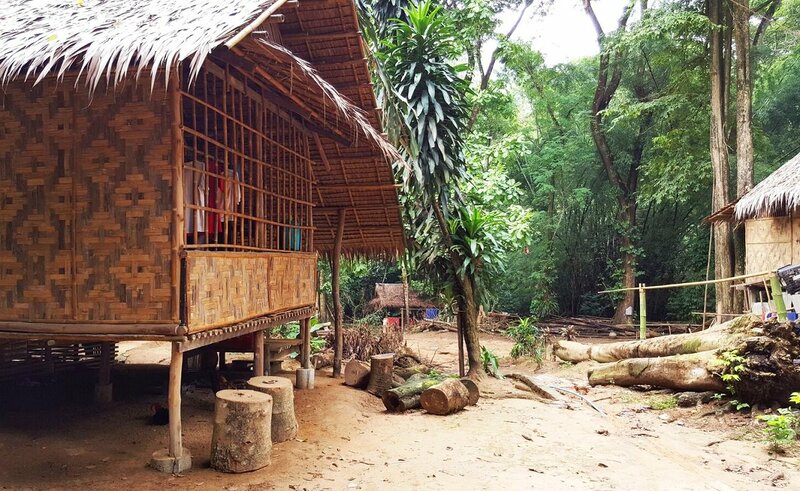 You visit a nearby ethnic Mon village, where the lifestyle hasn’t changed much with time. You have morning at your disposal before sailing up the river to the quay where lunch awaits you. You then ride along a stretch of the Death Railway in some of the historic train carriages. The tour takes you along a raised teak construction above the terrain. After the train ride, you are picked up by a driver in Kanchanaburi, who drives you to Cha Am. The drive takes about 3-4 hours. 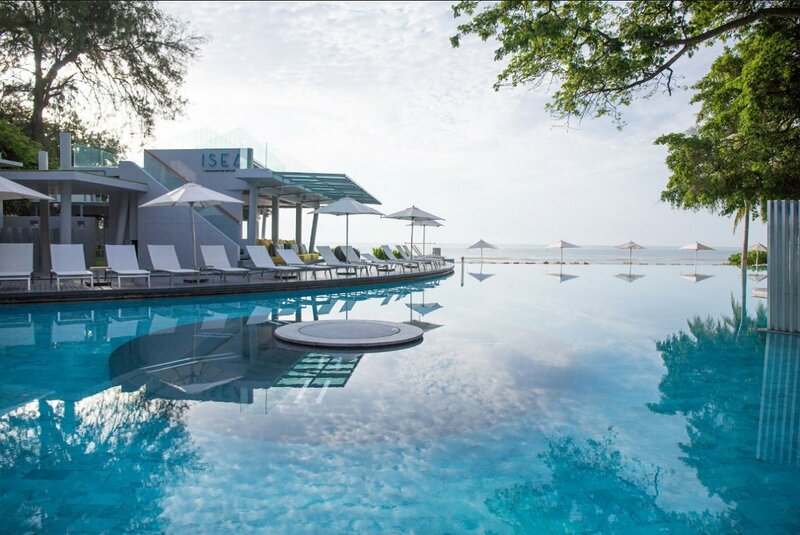 Cha Am is a small, quiet resort, 27 km north of Hua Hin and 175 km south of Bangkok. 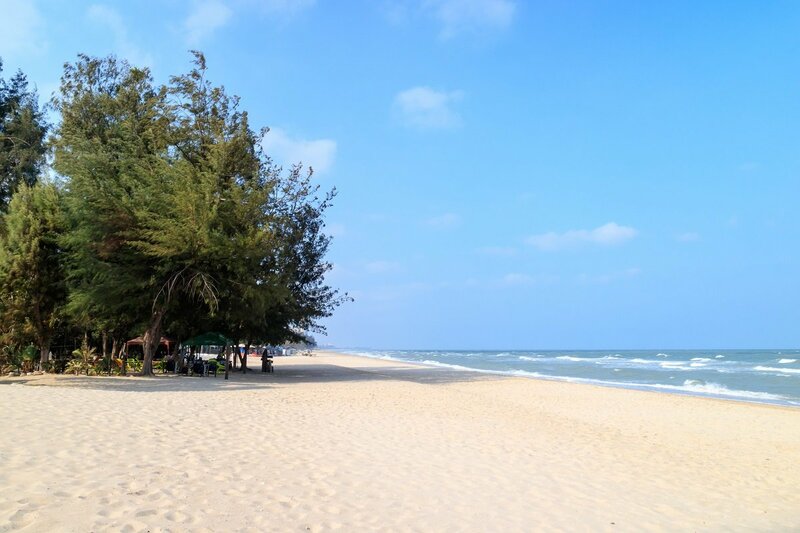 The resort is not lined with lively bars and various shops as in many other holiday resorts, so you can simply enjoy the peace and quiet and laid back atmosphere on the long, child-friendly, sandy beach, where various water sports activities are also available. 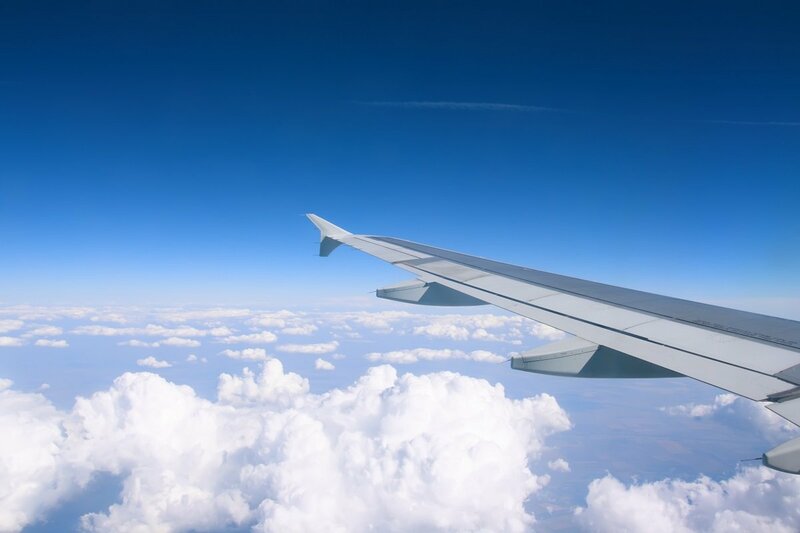 You are picked up at your hotel and driven to the airport in Bangkok, from where you fly home to the UK, connecting flights along the way.